$449 + $175 shipping for most customers. Please see shipping note below. Due to the popularity of these items, delivery takes about a week from time of order. 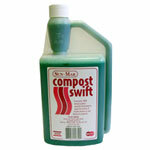 Don't forget the option of adding Coco Fiber composting medium! 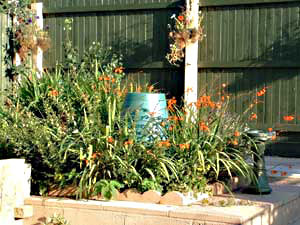 Compost Magic dramatically speeds up composting in a Sun-Mar composter. Compsot Magic is 100% natural bulking material. 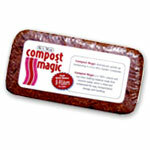 + $15 shipping for Six Compost Magic Bricks. Why use a Drum Composter? Rotating the drum allows an abundance of rich oxygen to mix with the organic material. Aerobic, oxygen-loving bacteria that decompose green waste need fresh air to make compost--so the more air they get, the better your compost becomes. Mixing material in a drum also allows the proper amount of moisture, oxygen, and heat to build up throughout the entire pile, and not just one small section. One of the problems with older types of drum garden composters was the need to finish a current batch before adding new material. In a Sun-Mar, material moves continuously through the unit. No need to wait. In a Sun-Mar unit, the material does not cool down too much--even when you rotate it. You let the composter sit days before turning, and the heat builds up again within hours of a rotation. 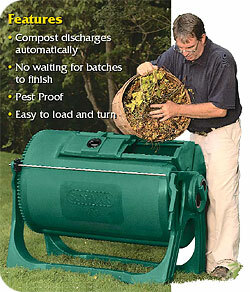 Produces compost in 1/4 the time of traditional methods. Just a spin a day. Pest-free, sturdy, meets our testing standards! Sun-Mar, the acknowledged leader in composting toilets now brings their expertise to the garden. Sun-Mar knows the best way to compost is by using a rotating drum. They've been using a rotating Bio-Drum in their landmark toilets for over 25 years. 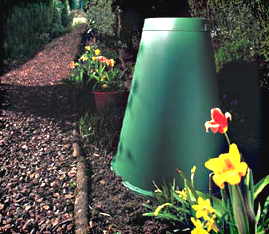 The new Sun-Mar garden composters take this concept a step further by adding a patented double-drum to the design. 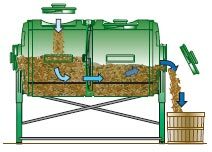 Compost materials go in the top and finished compost exits automatically out the end as the drum rotates. No more digging, forking, poking, lifting, or other "work" that previously went with composting! Easy to turn, easy to compost, and even easy to assemble. Sun-Mar products are carefully inspected and packaged to assure they reach your organization or customer in their original manufactured condition. Where requested Sun-Mar contracts third party transportation carriers for product shipments on behalf of dealers and customers. Any product damage or loss occurring in transit is the responsibility of the transportation carrier and not Sun-Mar. Therefore it is imperative that all products be fully inspected prior to accepting delivery from the transportation carrier and prior to signing a proof of delivery/freight waybill. In the event of an inspection determining product damage or loss it must be reported immediately either on the proof of delivery/freight waybill at the time of delivery, or the delivery should be refused with a note that delivery was refused due to damage. Once the proof of delivery/freight waybill has been signed by the person receiving the products it confirms that the merchandise was received free of damage and removes liability from the carrier. Any subsequent attempt to claim for loss or damage will not be accepted by the carrier. In the event a claim is required it must be filed directly with the transportation company, however, Sun-Mar will assist in this claim process if shipping was originally contracted by it and the preceding procedures adhered to. Easy to feed : Material goes in through easy-access top ports. Back-saving ball bearings mean easy turning. Fresh compost comes out the bottom port, automatically, when done. Tool free, shovel free, fork free! Easy to load and rotate. Reduce the amount of garbage you send to the landfill each year. Think of all of the kitchen scraps you've tossed, or weeds you've pulled. All of this material can become compost--and can stay OUT of the garbage dump! Save money on your water bill. Compost helps the soil retain water more efficiently, so you spend less watering plants. You'll have free, organic fertilizer--forever! No more bags of filler and chemicals. 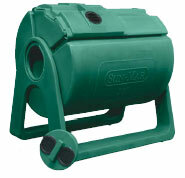 Sunmar Composters come with a 1 year warranty. Shipping within the Continental United States is $100 for the Sunmar 200 and $175 for the Sunmar 400. Please email us for rates outside the continental United States and Canada. Depth: 24" Depth: 28" Depth: 32"
Most of our customers are covered by our shipping charge. However, additional shipping fees for the Sun-Mar 400 may be necessary if a customer lives in a remote area because the trucking company will have to interline the shipment with another trucking company in that area. Additional shipping fees for the Sun-Mar 400 will be charged for some customers on the west coast. We will email you when we are ready to ship to inform you of additional charges. Most of our customers are not affected.